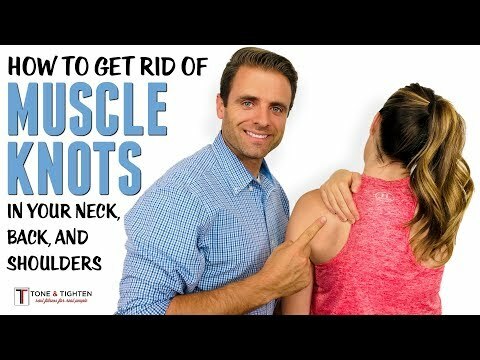 Knots in your neck and shoulders, we all have them, and lately because I've been working on healing my rotator cuff injory, mine are really talking to me. There was one night this past week where my traps were so tight and my knots so painful I couldn't even lower my shoulders. All I wanted to do was stab something into this spot of tension between my shoulder and neck. I knew something had to give because I was not backing down on my shoulder physical therapy. Remember the "to the cloud" commercials? I always think that when I go to YouTube. Seriously though, they have everything. Want to knit a hat? They've got it. Learn to prepare eel? They've got it. YouTube is amazing and it's no wonder Google owns it. For me it's the new Google, mostly because I learn visually, to watching a video is a sure fire way for me to make sure I've got something down. I found this gem in a moment of despiration and after doing all the things listed in the video I actually did feel temporary relief. I also made a reflexology appointment, chiropractor, and acupuncture appointment. Did I say I was so over my shoulder pain because I sure as hell meant it. Anyway, this guy is brillant. Like his video, subscribe to his channel Tone and Tighten, and click the bell to get notified of his new videos. I can't wait to dig through his library to see what else he has.